We’d love your help. Let us know what’s wrong with this preview of Write to Discover Yourself by Ruth Vaughn. 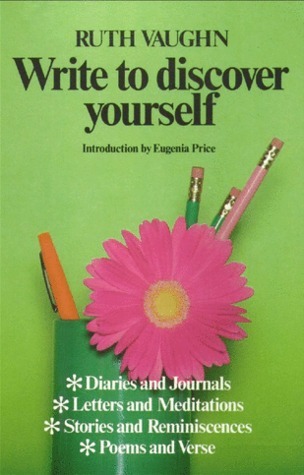 To ask other readers questions about Write to Discover Yourself, please sign up. I truly enjoyed this book! The clearly written, easily understood advice offered by Mrs. Vaughn is also fairly easy to put into practice. I'd recommend this book to any writer who is seeking a way to improve or enhance their work. I'd also recommend it to any person who is an artist, photographer, or musician because the exercises contained herein are quite valuable for broadening one's scope. I will be purchasing a copy as soon as I'm able.